CLICK HERE TO ORDER OUR ELDERBERRY SYRUP! 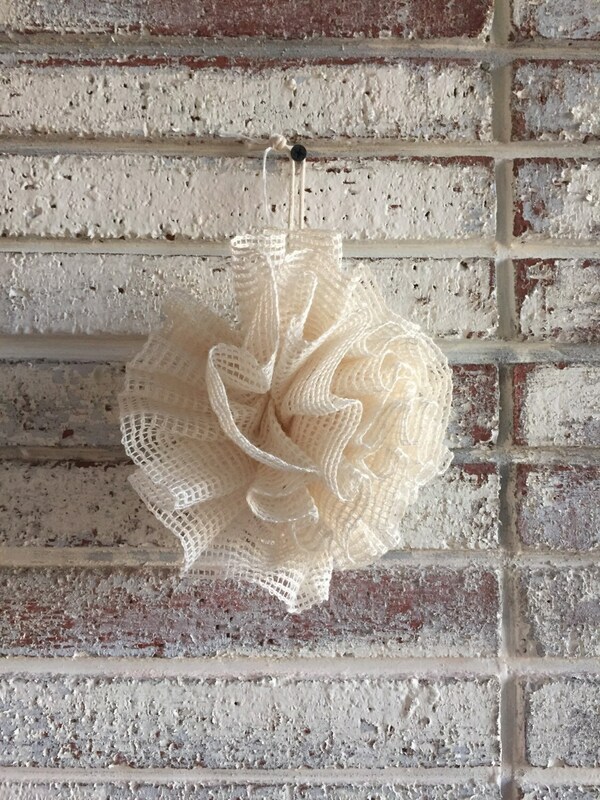 Our soft cotton, machine washable is perfect for the shower or bath. Use with our natural bar soap or liquid soap. Listing is for one cotton pouf with hanging string. Payment is accepted through Paypal, Etsy & direct pay via credit card. All payments must be received before orders are shipped this includes e-checks that may take longer to clear bank. *For large orders such as wedding favors, larger volume orders, custom orders, etc, payment must be received in full before order is shipped. Shipping fees are based on the weight of your order and your delivery destination. Most items weighing under a pound can be shipped USPS first class, all others are shipped priority. Combined shipping discounts may apply to your order especially if you are in Texas or are placing a large volume order. Please contact us prior to placing your order and we will offer you a shipping discount code or create a reserved listing. ***A partial refund may be given for shipping fees if your actual shipping charges were considerably less than what you were charged. I highly recommend contacting prior to ordering so I can check for combined shipping discounts, etc. Please note, all syrups are shipped with ice packs and insulated mailers and must be refrigerated upon arrival. Under normal shipping situations, the ice packs/insulated mailers are enough to keep the product insulated for 36 hours. Generally, orders are received in 2-3 days. Tracking numbers are sent with an email shipping confirmation. I recommend paying attention to your estimated delivery date by checking your tracking number. If your order is delivered to a post office (or any location), please be aware of the delivery date so you can pick it up immediately and refrigerate. Sage & Sweetgrass, will not be held responsible for syrups that are not picked up or arrived late due to Post Office shipping delays. If you are unable to pick up your order immediately or the Post Office is experiencing delays due to weather, etc, I highly recommend ordering the DIY kit instead of the syrup. This shop is not responsible for lost, stolen, or damaged goods due to shipping services. Claims will have to be made with the shipping provider. All orders are shipped with tracking numbers if available. All lost packages must be taken up with the USPS or another shipping carrier. It is also important to verify your shipping address when placing an order. If you can not find your package and the tracking number shows it was delivered, please contact your local post office or applicable shipping provider. We are also not responsible for stolen or misplaced packages at your residence/house/office/apartment building. If you live in an apartment building or complex, please make arrangements so your order is delivered safely and not left out by the mailbox. If your package is damaged during transit, you must file a claim with the USPS or another shipping carrier. Please photograph damaged box, products and notify shipping carrier to make your claim. All of my products are made in small batches to preserve the freshness & integrity of the product. Generally, most items ship are ready to ship within a day or two of receiving the order. In the event that a product may be out of stock, extra time may be required before your order is shipped and you will be notified accordingly. We do our absolute best to ship within a timely manner, however, we can't guarantee shipping delays on the part of the courier won't occur especially during peak shopping seasons or weather-related delays. We ship most all orders via USPS priority mail which generally takes 3-5 days depending on location and holiday season. Faster shipping can be arranged by contacting me prior to making an order. *Some small parcels are shipped First Class however they usually arrive in 3-5 days too. ALL SALES ARE FINAL. My aim is to make feel good products from only the highest quality ingredients. If for some reason my products fall short of your expectations please let me know. Due to the nature of my products returns & exchanges aren't accepted however, I will do my very best to make it right with you. During the warmer months we ship many items with ice packs to prevent melting, however, it is the customer's responsibility to take package into a cooler space immediately upon arriving. Thank you. We are more than happy to take custom orders for weddings, party favors, etc..just contact Teri at relaxlivelonger@gmail.com with details about request. We are also happy to work with qualifying merchants to re-sell our products. We do offer our products wholesale to eligible resellers. Please message or email us at relaxlivelonger@gmail.com with your request.